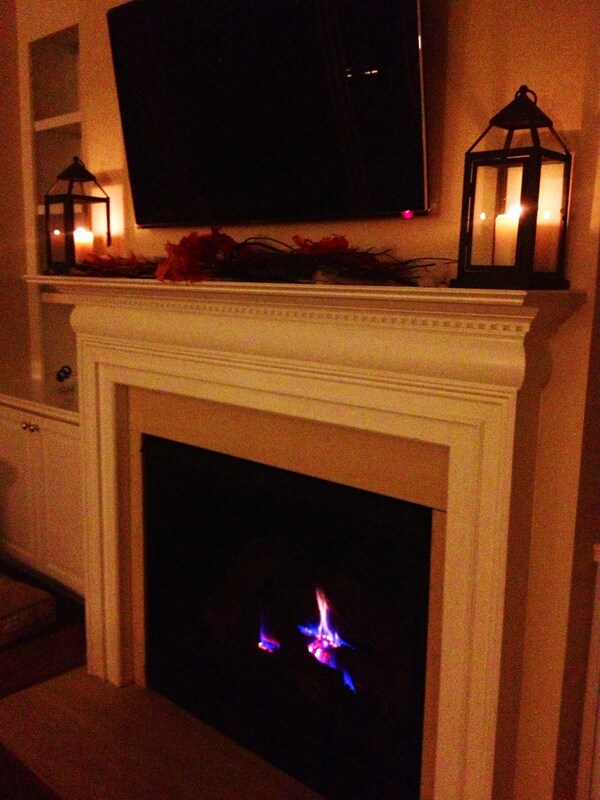 As I sit here tonight listening to the howling wind and the shuddering shutters, I can really feel Halloween in the air. 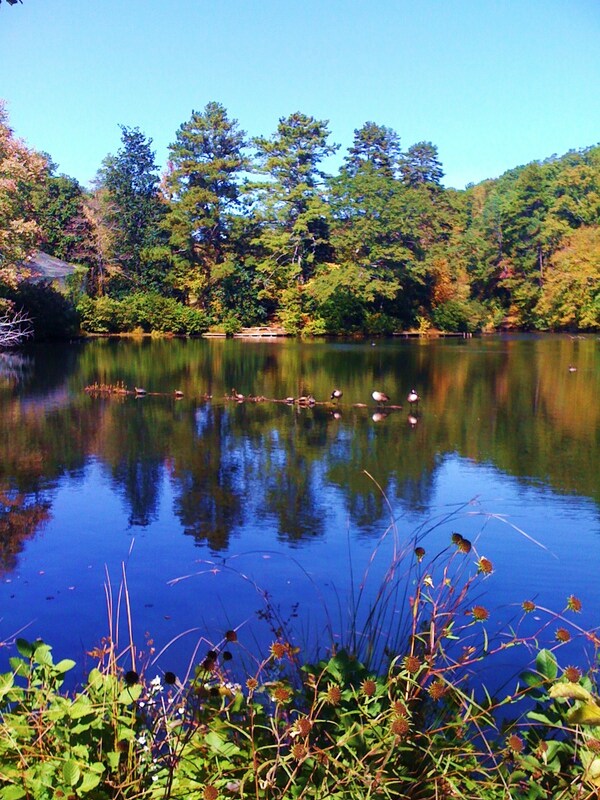 The weather has definitely turned here in Atlanta, just in time. I only hope my power doesn’t go out again as I am writing this! The wind is crazy here, and my thoughts are with the people further Northeast who will be highly affected by the incoming storm. I can imagine the sense of forboding they are feeling tonight, and it has nothing to do with Halloween.. But I want to keep things light and fun, after all that’s what Halloween should be about. At least for those of us who have little children. 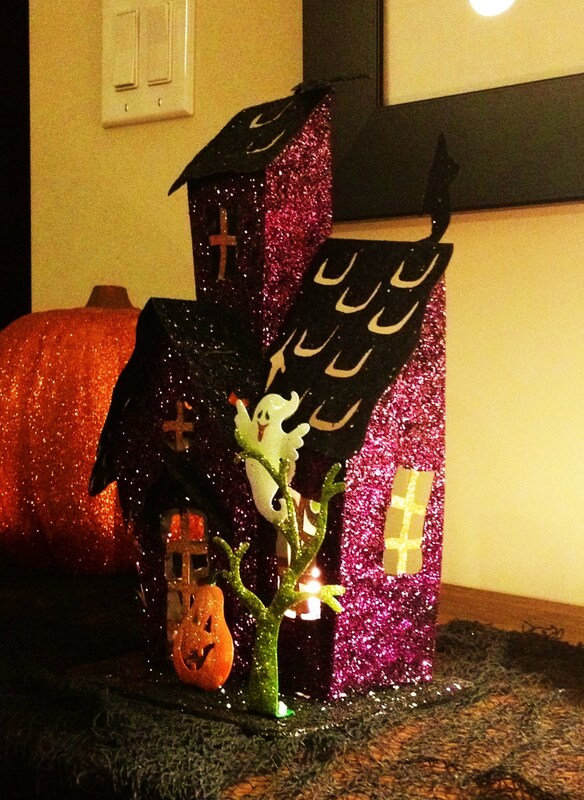 Every year I look forward to decorating our house and seeing my children ooh and aah over the little things. 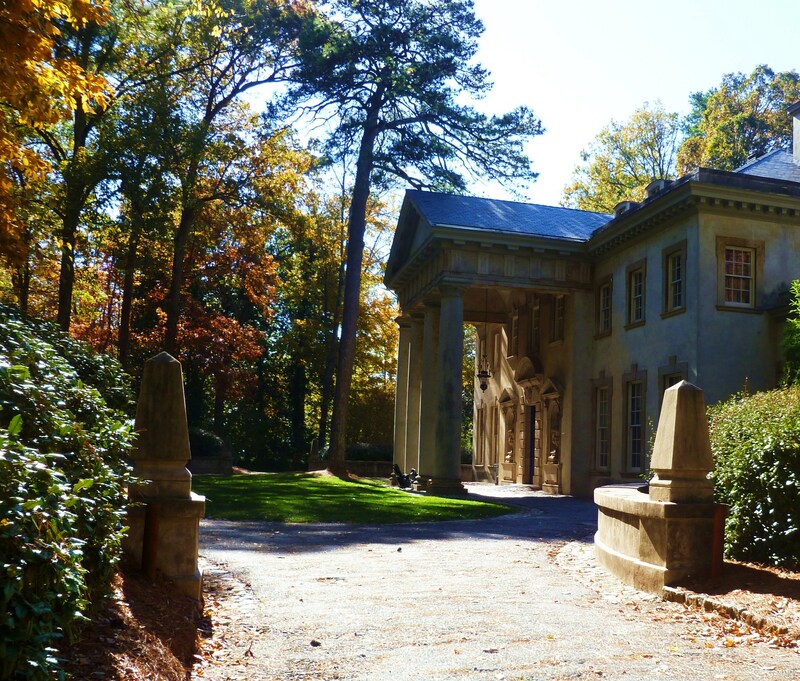 This is the second Halloween we have spent in our house here in Atlanta, and I enjoy thinking of different ways to be creative with it. 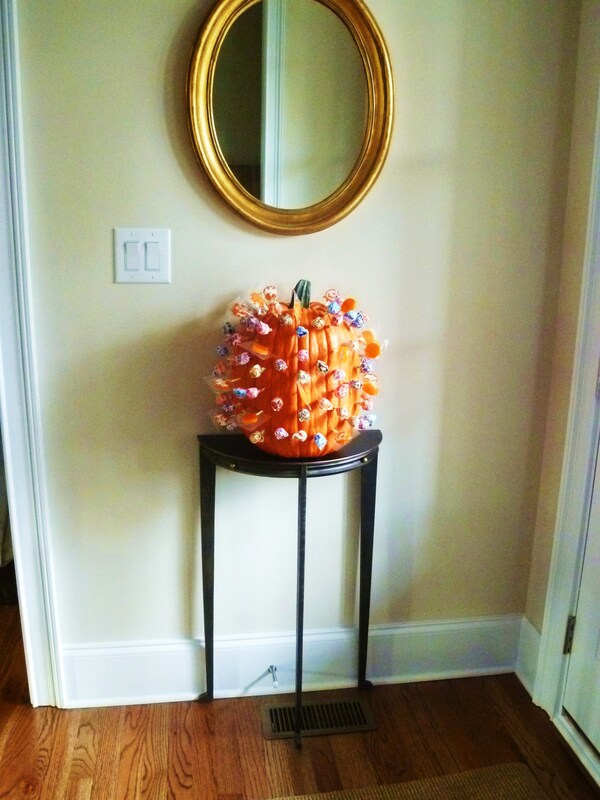 A favorite of my children, their friends and pretty much everyone who crosses our threshold is the lollipop pumpkin. I drilled holes in a “Funkin” and filled each hole with a lollipop. I believe I got the idea from a Martha Stewart magazine, but honestly can’t remember. On Halloween I also put it out for the trick-or-treaters, along with our bowl of candy. It’s a hit every time. 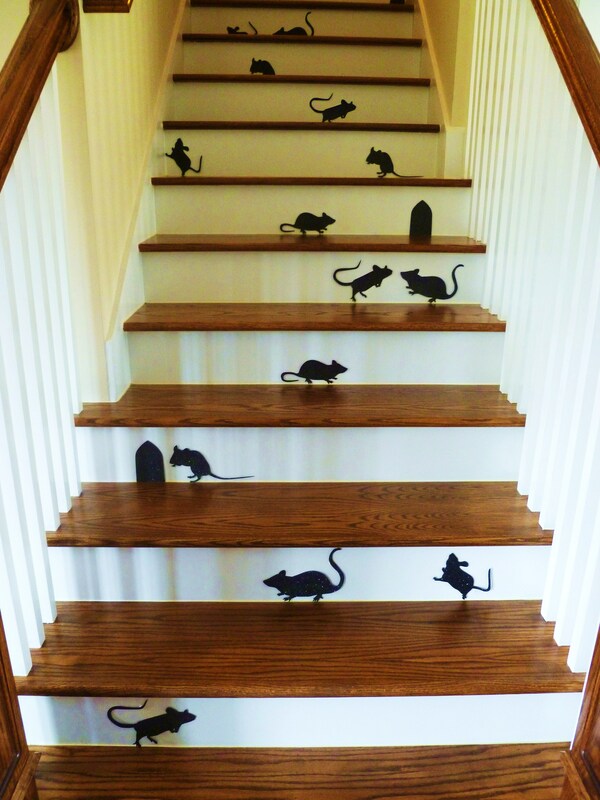 One night my husband came home from work and I told him we had a mouse problem. He wasn’t too happy until he saw our staircase. 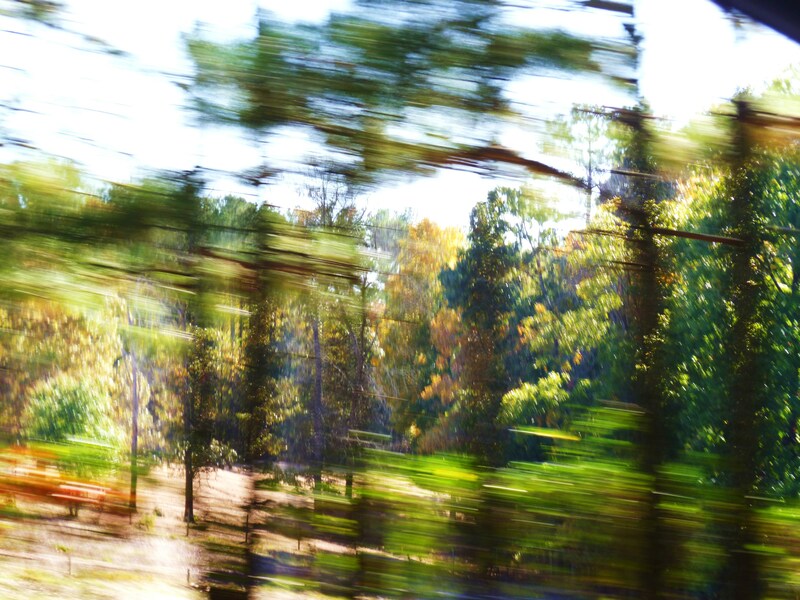 Before moving down here, I wouldn’t have been caught dead in a dollar store. But they actually do have some decent things. 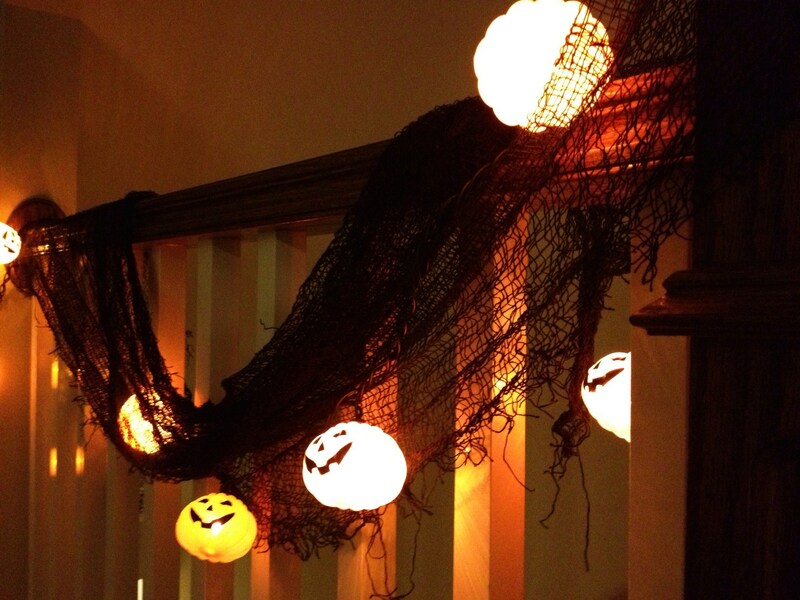 I found black mesh webbing there and added some pumpkin lights to one of our stair railings. I also added it to a console table where I set up some glittery decor. This summer I purchased some lanterns for candlelit dinners on our teak patio table. Our mantle needed some spooky jazzing up, so I placed them there, as well as some black branches with white spiderwebs, and some fall colored paper leaves. I might leave the lanterns there until the Christmas decorations come out! 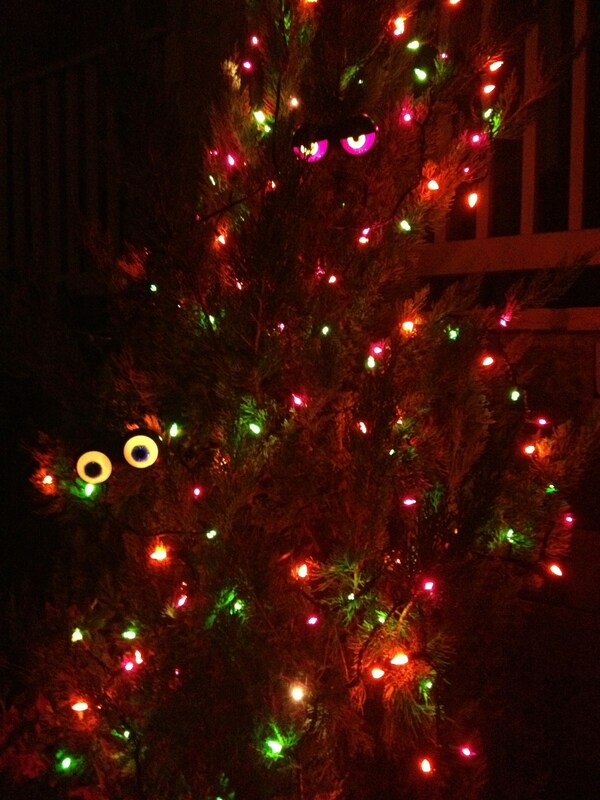 And lastly, a favorite year after year has been the spooky flashing eyeball lights. 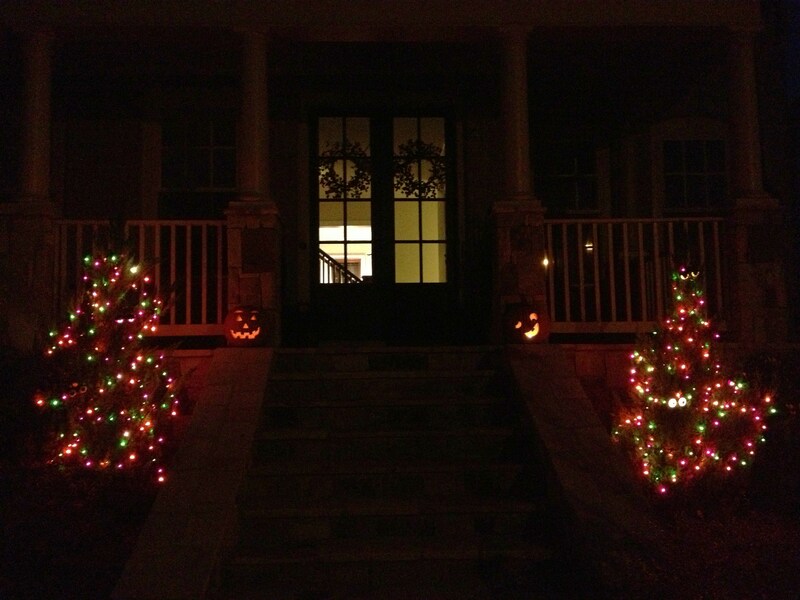 This year I placed them on the arbor vitae on either side of our front stairs, along with some Halloween colored twinkle lights. 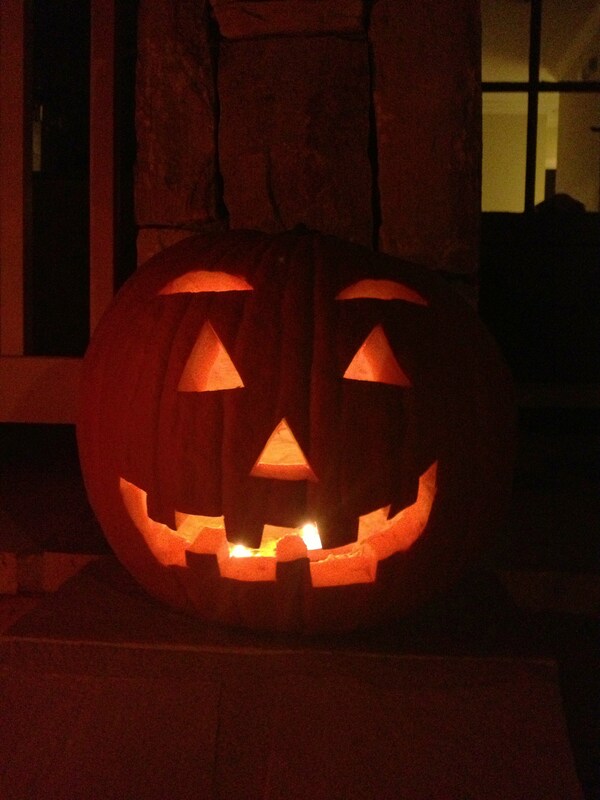 I love to watch the reaction of the trick-or-treaters when they first see the eyes blinking and winking at them. I hope you all have a fun and safe Halloween, come hell or high water! Here is a list with links of where you can find some of the decorations I have used..
Days are cooler, nights are chilly, skies are bluer, birds are chirping everywhere. 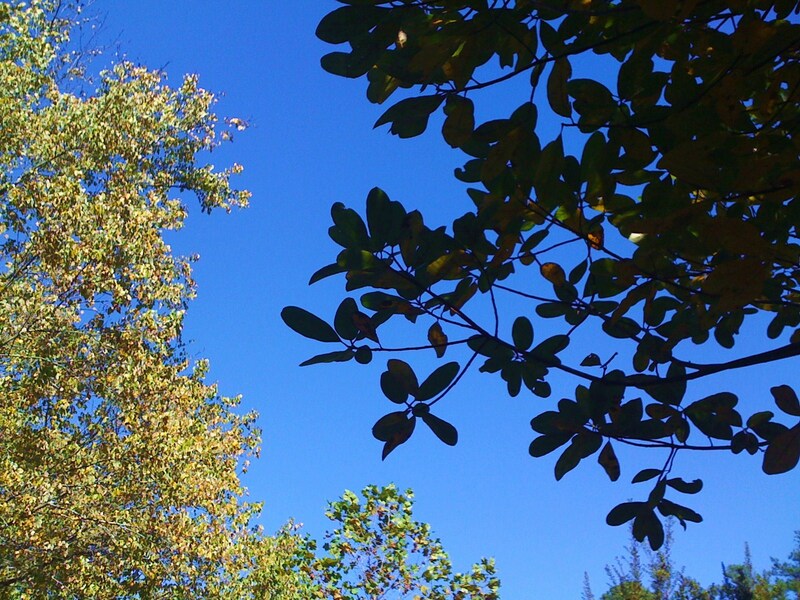 Trees are just starting to turn, later than our neighbors in the Northern states and on the East Coast. 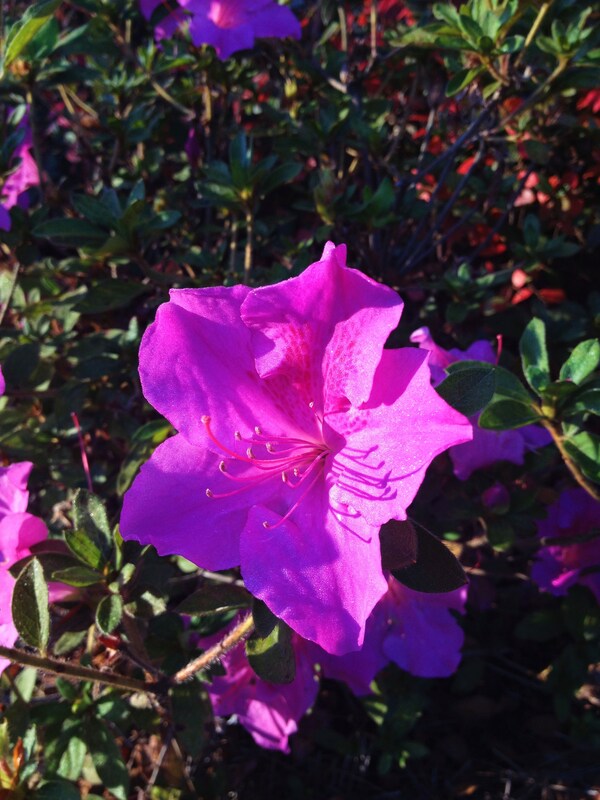 Flowers are still blooming, and the magenta azaleas in my front yard are in full glory. 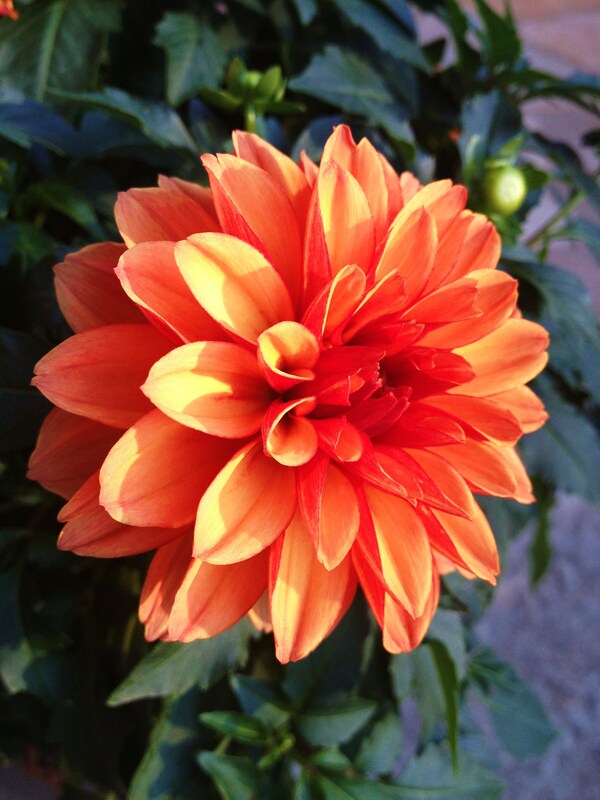 I love dahlias and found beautiful pots of them at the local garden center. Hopefully I can save the bulbs and replant them in my garden come springtime. Searching for new wreaths for our front door, I found these at Crate & Barrel. 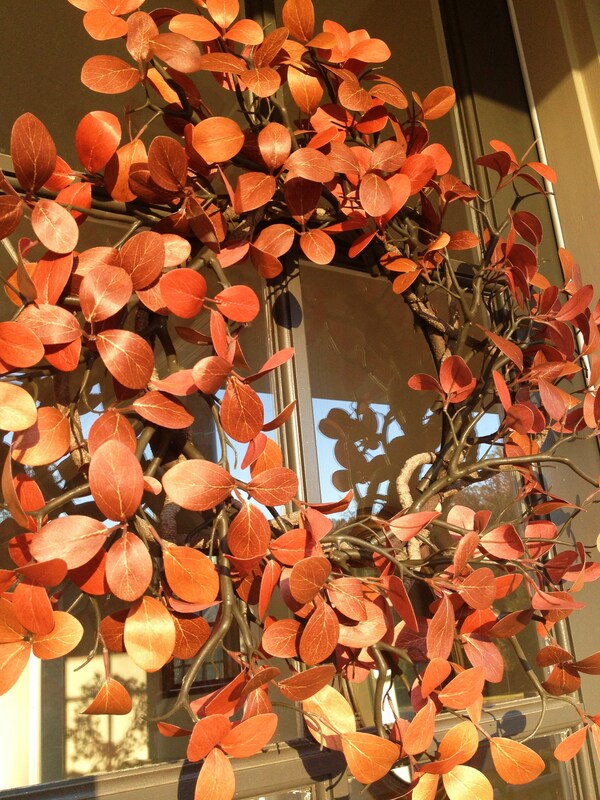 I would prefer something natural and not artificial, but I liked the color and simplicity of the faux manzanita branches. 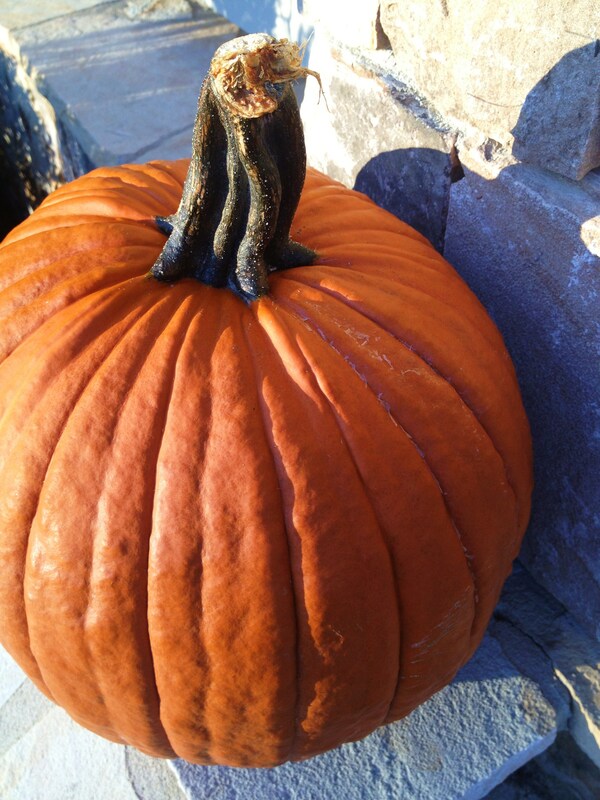 This baby is going to sit on our front porch until we transform him into a jack o’ lantern just before Halloween. It looks smaller in the photo, but that sucker was heavy! 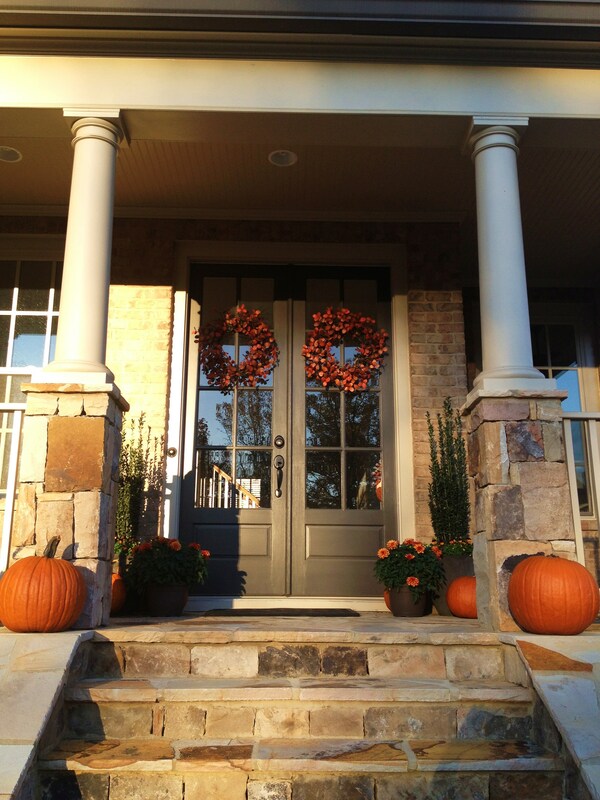 My front porch.. the stone is from Alabama and was chiseled and shaped by hand. It’s still warm from the sun at the end of the day and feels so good on bare feet. 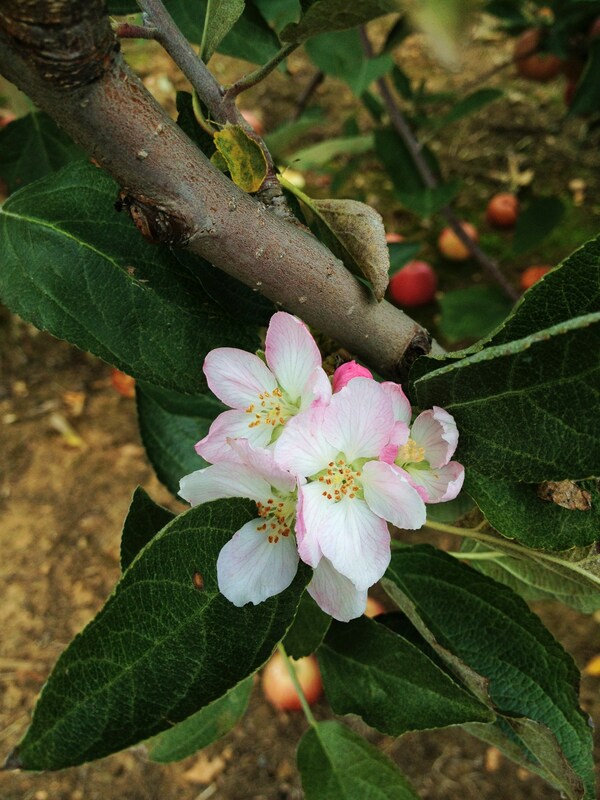 To celebrate autumn and say adios to September, we hopped in the car and took a Sunday drive to an apple orchard. 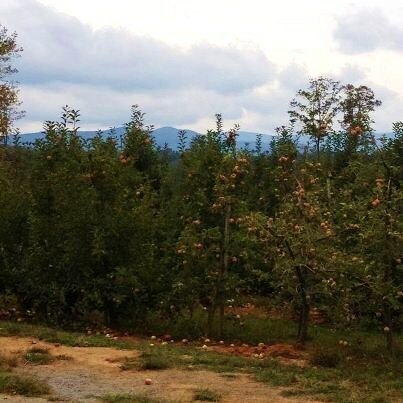 Mercier Orchards is located at the foothills of the Appalachian Mountains in Blue Ridge, Georgia. It was exactly what we were looking for and didn’t disappoint. 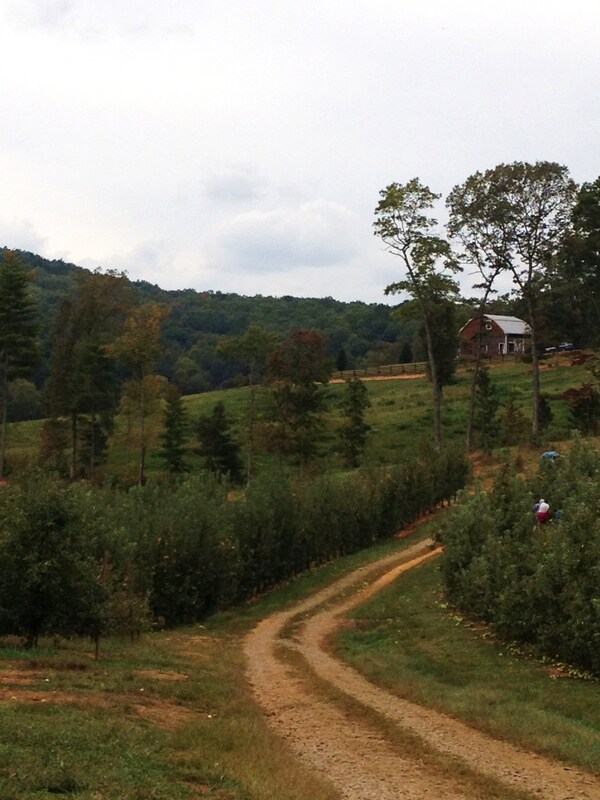 To get from the parking lot/store area to the orchard, a tractor takes you for a ride, which was great fun for the kids. 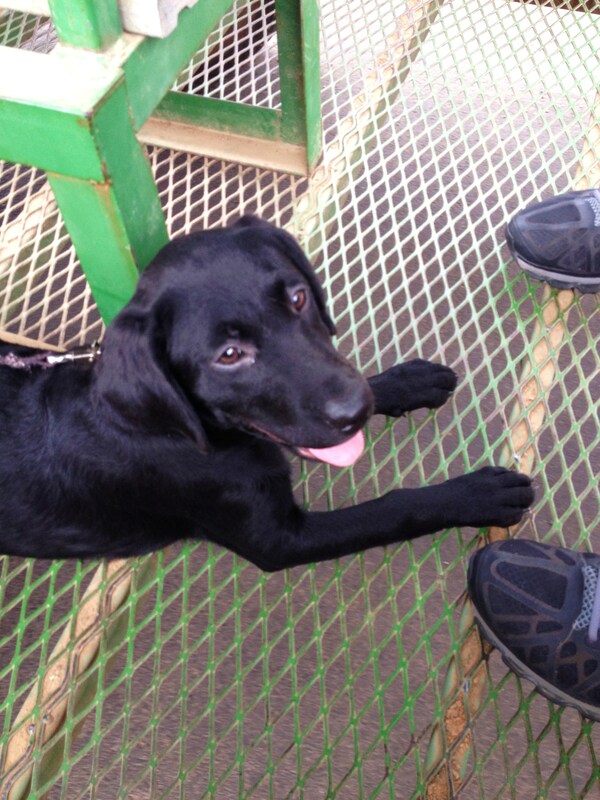 There was the sweetest Black Lab puppy aboard, and she kept inching closer to my husband’s feet. I think it made her feel safer on the bumpy ride. I wanted to take her home with us. 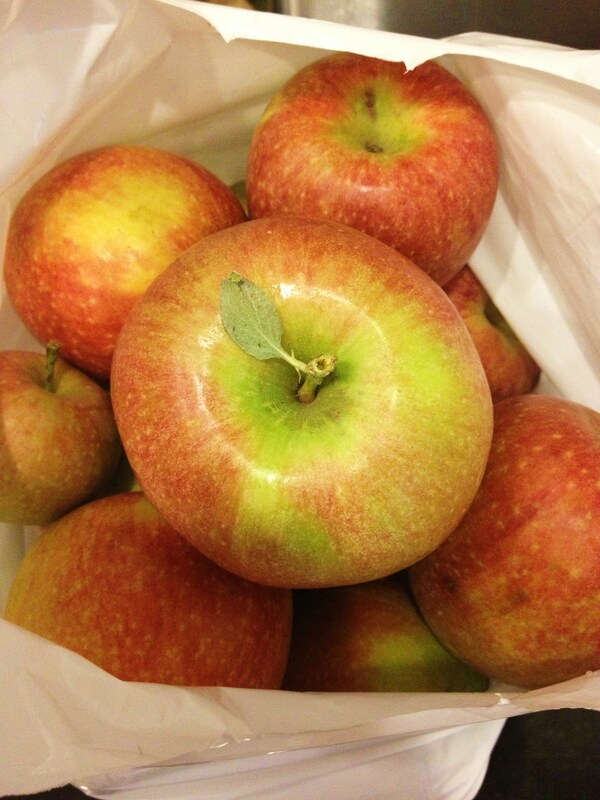 They have several varieties of apples, and we decided to pick Braeburn for it’s sweet tart crisp flavor. Apparently they had a very busy day prior to us getting there, but there were still plenty of apples left. It was cloudy and rain threatened, but it held out for us. 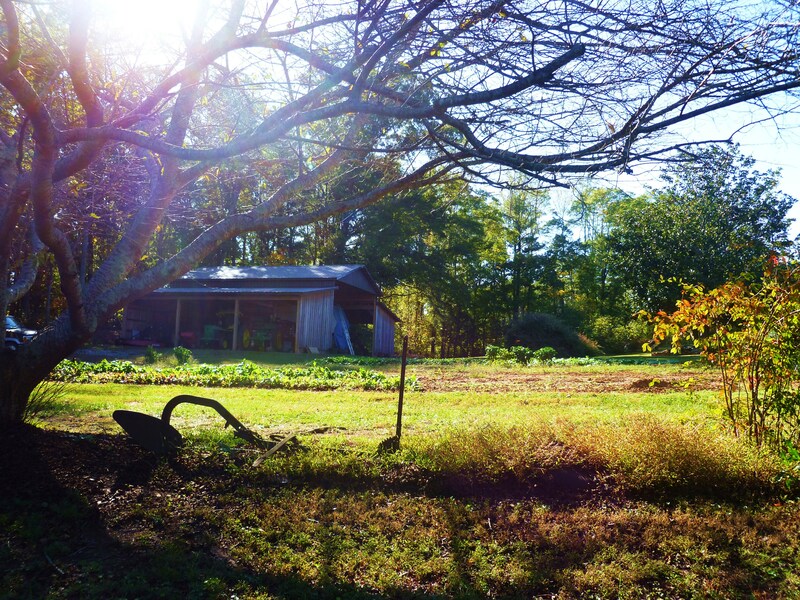 The 70 degree temperature was perfect, and I myself was grateful for the lack of sun so as not to wake up the bees feasting on rotten apples on the ground! We picked and ate and picked some more. 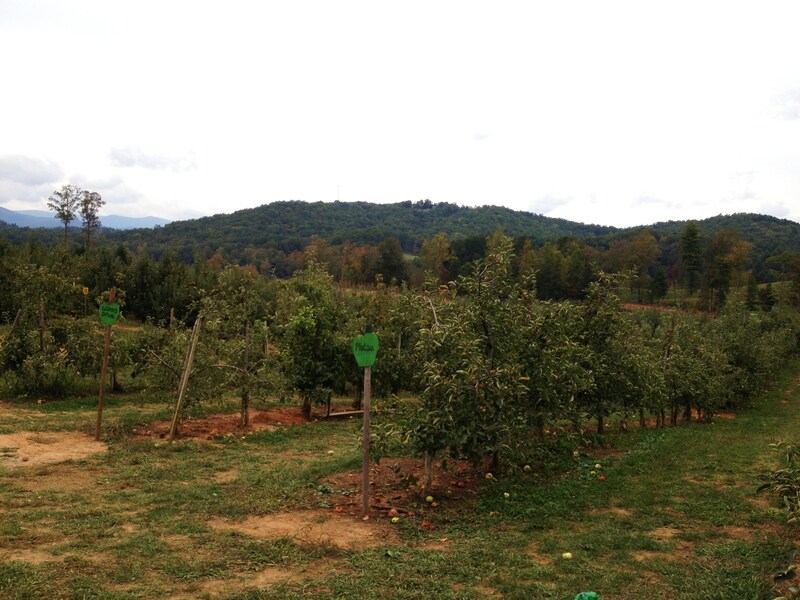 After the tractor ride back from the orchard, we stopped at their hard cider tasting room, which was a pleasant surprise! 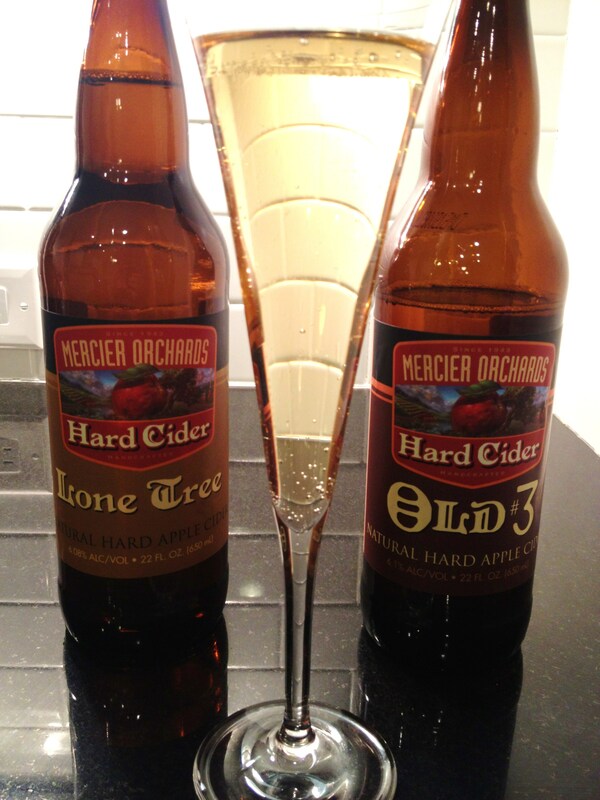 I had never tasted hard cider before and I really enjoyed it. 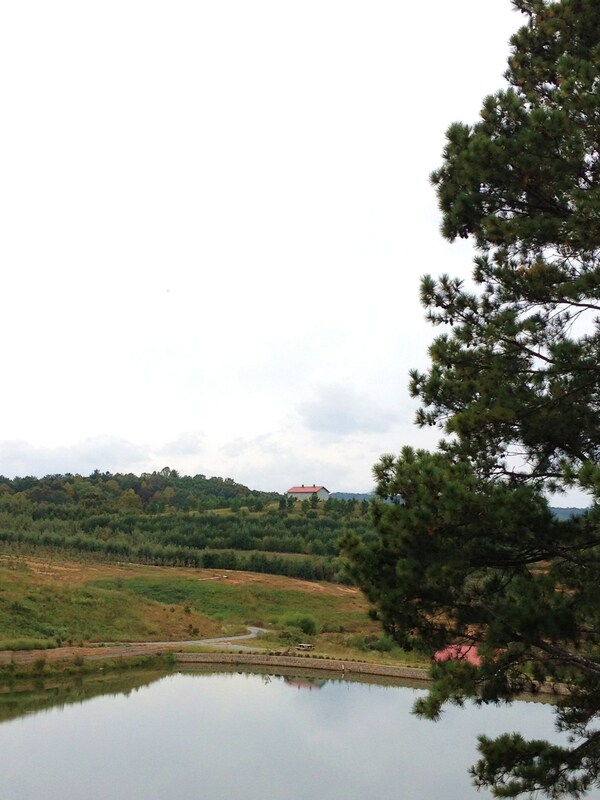 It is very similar to sparkling wine with apple flavor, but not too intense. I chose two that were less sweet, and skipped the peach which is the sweetest. 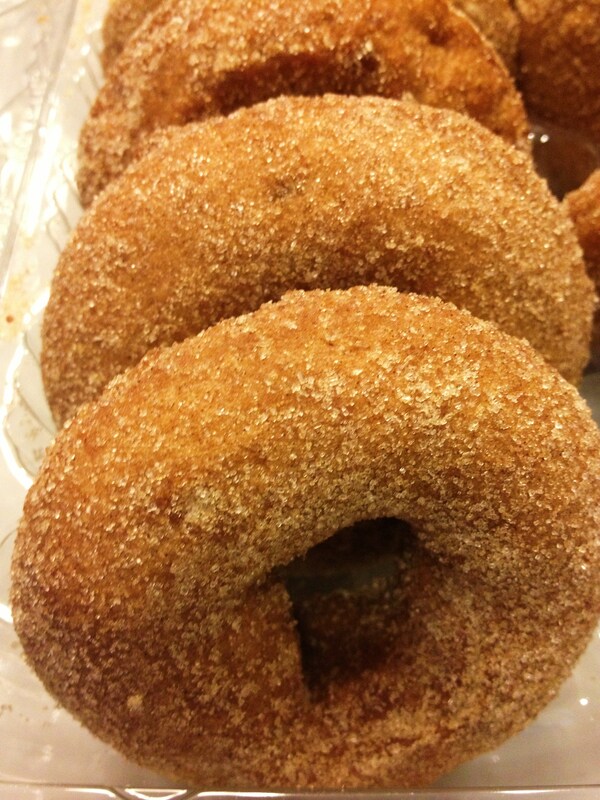 On the way out we stocked up on freshly made apple cider donuts, apple cider, fudge and caramel apples. We said no to the pie, although there were a million types from which to choose. There is also a sit down deli type restaurant if you are so inclined. 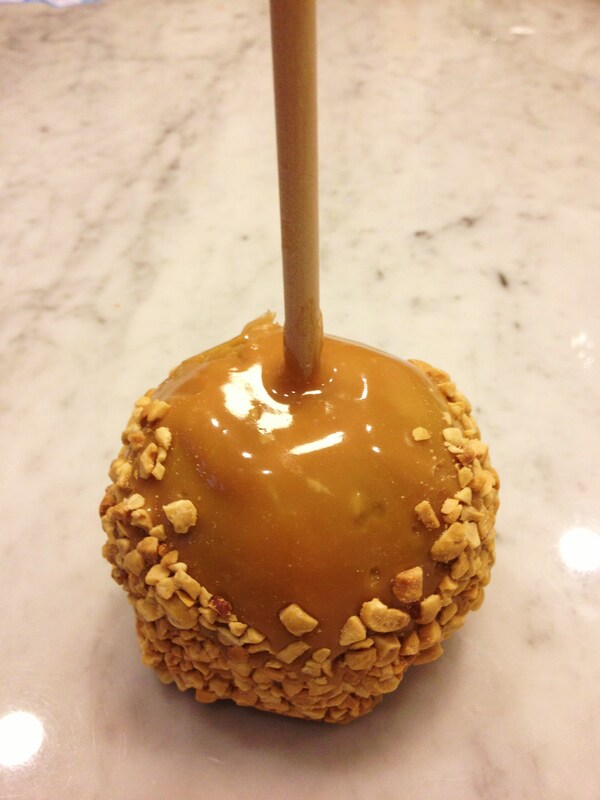 There is nothing like the taste of a freshly picked apple. It is almost as sweet as the memories created.